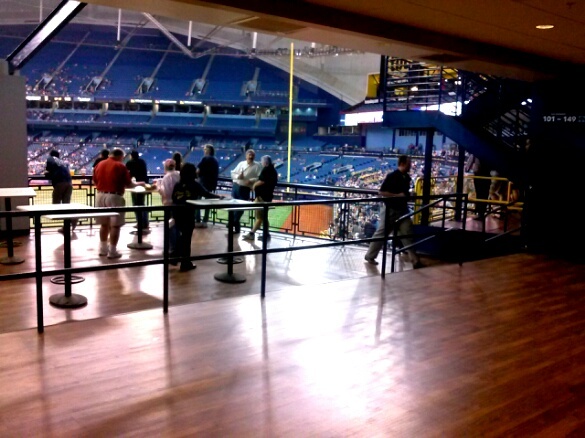 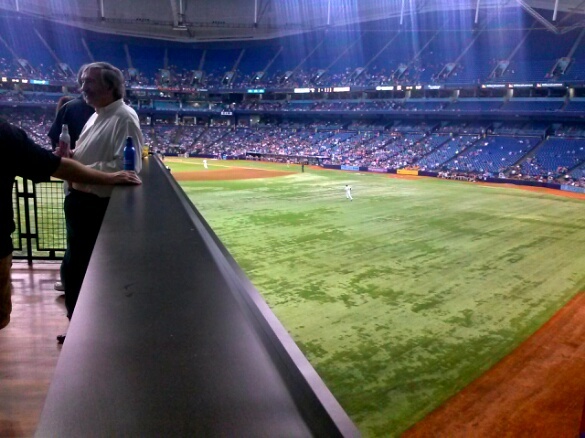 The new area inside Tropicana Field was opened in 2014 and features a bar area, food area and standing tables. 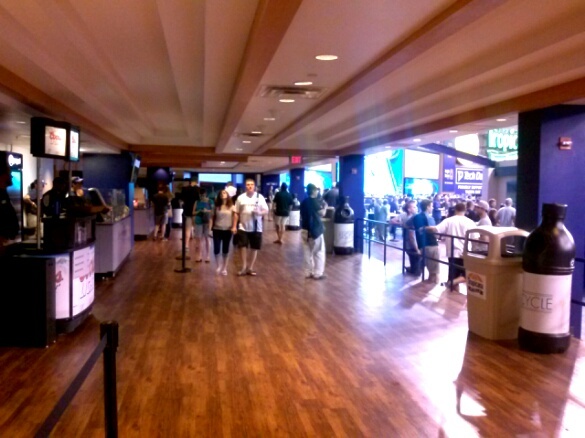 This isn’t a seating area, but a good mid-game break area where you can eat and still see the game. 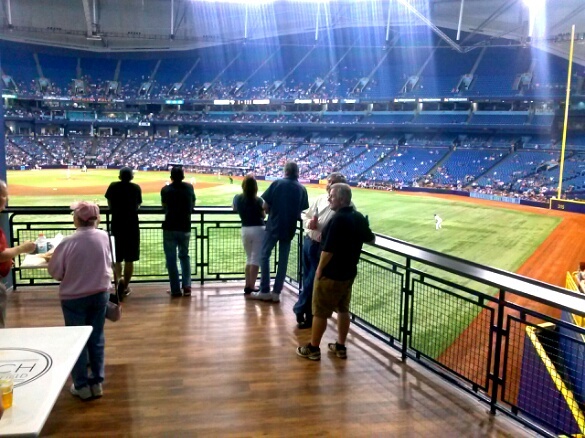 Photos are of the food area, and the actual view while standing near The Porch railing.